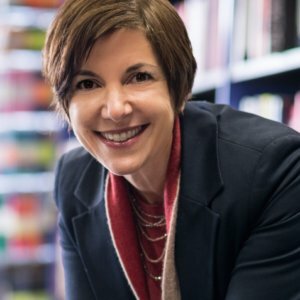 Lisa Kay Solomon is a well-known thought leader in design innovation with a focus on helping leaders learn how to be more creative, flexible and resilient in the face of constant change. Lisa is the Chair of Transformational Practices and Leadership at Singularity University a global community of smart, passionate, action-oriented leaders who want to use exponential technologies to positively impact the world. She coauthored the Wall Street Journal bestseller, Moments of Impact: How to Design Strategic Conversations that Accelerate Change, and more recently, Design a Better Business: New Tools, Skills and Mindset for Strategy and Innovation. Lisa is a frequent keynote speaker on innovation, design thinking and leadership at global conferences and business schools. A passionate educator, Lisa has taught at the revolutionary Design MBA program at California College of the Arts and has developed and led popular classes for Stanford d. School such as Networking By Design and Design With the Brain in Mind. She is also the Executive Producer of the annual Inspired4Schools conference, a design leadership program for educators, and is on the leadership committee for The Nueva School’s Innovative Learning Conference, a biennial gathering for trends related to the future of education.